Swami Chidananda was the disciple of Swami Sivananda, the founder of the Divine Life Society, and Swami Chidananda succeeded him in 1963. This is collection of quotes of Swami Chidananda and the basic source are magazines and newspaper articles. If you are sitting beside a very calm, serene, collected person, a centre of serenity and calm, the vibrations radiating from that person, the aura emanating from that person, puts your mind also into a state of relative, comparative calmness. Even if you are by nature prone to be very agitated and restless, nevertheless, for the time being, to an appreciable extent, the calm goes into your mind. On the other hand, if you are sitting near a very high-strung, tense, agitated person, then you are likely to gradually feel uncomfortable and begin to feel somewhat agitated and restless. This is the power of anything into whose proximity you place yourself. If you place yourself close to a fire, you will start feeling warm, even uncomfortable. If you are close to something very cold, you will be influenced by it. Different types of features and factors, certain odors, certain sights, immediately create a certain strain of thought or feeling within. Therefore, to a very great extent we are swayed and influenced by outside factors. The oyster yields a pearl because that is what it holds within its bosom. The gold mine yields gold because that is that it holds within its bosom. What will you yield from within the depths of your own personality, your nature, your individual identity? What will be your gift to the world? It is for you to choose. It is for you to make this choice and to live your life in this grand arena, which gives you the occasion, the opportunity, and the unlimited scope and freedom to be what you are. To make the right choice – purposefully, intelligently, wisely, with discrimination – is the great privilege of only one species of creatures on this planet Earth, and that is the human being. Reflect well on this, and act in harmony with this inner fact. What a great blessing, what a great privilege this life is! It would be a pity not to see it as such. Make up your mind, therefore, that each day, every moment, at every step, your choice will be to manifest the Truth within you, and never any thing else but this. Choose always to be the best, the highest. Choose to be what you really are. Choose to be the source of blessedness. There is an important point here that you have to ponder with great earnestness, with great understanding. If you have to be constantly amidst various things, various persons and different environmental situations, does it mean that you can never be stable? Must your mind also be in a constant state of instability, always changing, always being influenced, always being made serene or made agitated, always producing some reaction? Truth alone can liberate us. Falsehood cannot liberate us. Deluded thinking is a trap. Mind is the seat of delusion. Mind is the seat of erroneous thinking. We do not realize it, but it is so. Mind is, therefore, the main barrier between you and God. Therefore, with humility and simplicity we must approach God in true faith, in absolute trust, setting aside contrary notions that are created by the mind which is Maya. If we are divine within but our life outside is undivine, unspiritual, ugly and full of all that contradicts our divinity, then that is not life. It is a living falsehood, a living lie. It is a contradiction. You should keep the company of those in whose company your faith increases, your beliefs become confirmed, unshaken, they become firmly established within you, and you become firmly established in what you believe. Even in the most holy of surroundings, the most sacred of places, right in the tabernacle of God, if your soul is not in Him and is not lifted up towards Him, then you are not in a spiritual realm at all. A genuine, authentic positivism is an indispensable requisite of successful spiritual striving and ultimate attainment—a keen positivism that looks at the positive aspects of things and exults that God has been so gracious, that rejoicingly moves forward with enthusiasm, with interest, with eagerness, longing for nothing else, wishing for nothing else, caring for nothing else, and, paying attention to nothing else but this central quest. This indeed is the sure guarantor, that which ensures the successful culmination of the spiritual quest, the successful fruition of spiritual Sadhana, the successful attainment of enlightenment and illumination. Be this so in the life of each and every one of you! Spirituality means growing into the form of your Divine ideal. It is the transformation of your nature from human to Divine. This is brought about by Abhyasa, spiritual practice of Sadhana and Vairagya leading to renunciation. You have this great blessedness of having a dual awareness – a lesser awareness which is an error, and a greater awareness which is the truth, the correct awareness. And this wonderful fact grants you the privilege of being in a position to make yourself an instrument, not merely of the limitations, finitude and imperfections of your temporary, fleeting human personality, but choosing, on the other hand, to make yourself an instrument for the expression and manifestation of all the perfections that comprise your true, essential divine nature. Choose always to be the best, the highest. Choose to be what you really are. Choose to be the source of blessedness. There is no eye like that of knowledge. There is no penance like the practice of truth. There is no sorrow like attachment. There is no happiness like renunciation. There is no friend like Guru. The safe boat to cross the formidable Samsara is Satsanga (the company of those who have realized truth). Mercy is the highest virtue. Forgiveness is the highest power. The knowledge of Atman is the highest knowledge. The practice of virtue, the worship of God and helping others – these three form the very essence of a truly noble life. Never neglect them. Ever practice them. This is real earning. He who has this earning, he accumulates the greatest wealth even though his earthly income may be modest. In Bhagavad Gita Lord Krishna tell Arjuna that the body, mind, and intellect are restricted in their activities and are not above error. The soul which is imperishable is evolving to aid each other to bring the individual upon the State of Perfection where it is neither troubled nor affected by wind, water, or fire or any weapon. The individual must raise himself from doubt to faith and the knowledge of a perishable being to imperishable being. That is why man is born to attain this knowledge and become fearless. The purpose of life is evolutionary until you reach immortality by realizing that body and Soul (Atman) are quite different. Body is born and it dies. Death is inevitable to the body – in this entire human world wherever you go in whichever direction and in whichever country you cannot escape death. In this body house, the Soul remains immortal and imperishable. This is what we call Atman (soul). Your Atman is identical with Satchidananda Atman or Brahman. The ultimate Spiritual realization is therefore the experience of ‘Aham Brahmasmi.’ In this human world bodies come and go. But that which gives it life is the imperishable Atman dwelling within you. We must base our lives upon this fundamental truth and be fearless and free. All Yogas culminate in meditation, whether it is Japa Yoga, Kirtan Yoga, Kundalini Yoga, Karma Yoga, Bhakti Yoga, Dhyana Yoga or Jnana Yoga. Ultimately, all the Angas (limbs) of these various Yogas culminate in meditation, and in and through deep meditation alone illumination is attained. The word meditation as such may not be used, but it is deep meditation that is mentioned in the description of all Yogas. In the nine modes of devotion, meditation does not seem to be mentioned, but Atma-nivedanam (total self-surrender) means nothing but meditation — becoming a zero, totally losing oneself through concentrated devotion into a state of meditation. We may progress in concentration and meditation, in Japa, in prayerfulness, God-remembrance and devotion, in the depth of our philosophical understanding, but we must also see clearly that simultaneously with these positive and progressive things happening to us, that our continuous human culture must accompany them, keep pace with them, must also move forward into a greater and greater state of perfection, wholeness and idealism. We cannot afford to forget that, as we evolve in our spiritual dimension, we have to also simultaneously evolve upon our human dimension. Spirituality must make us into good persons. Spirituality must make us ideal human individuals. Spirituality must help to make us benefactors of our own society. Spirituality must make us a centre of blessedness to others, a centre of help to others, a centre of harmony, a centre of everything that contributes to human welfare — individually and collectively. 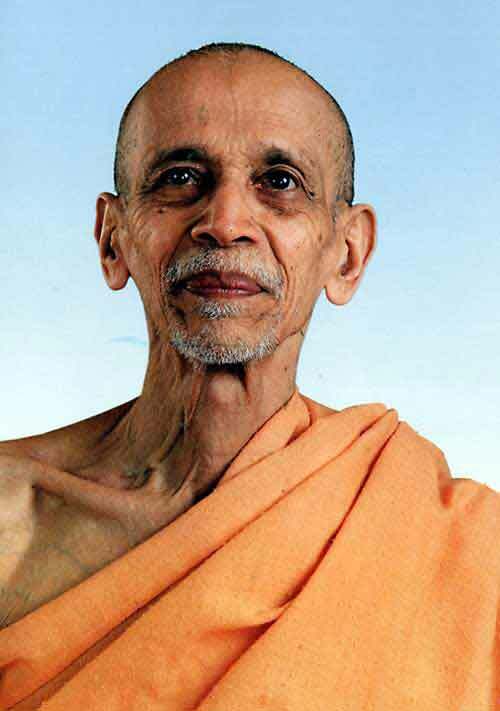 To enter into the spiritual life is a rare blessedness, it is a great good: to take it seriously and engage in active spiritual Sadhana is a second blessedness and a still greater good: but to persevere in the spiritual life, to be ever progressive and ceaseless in one's spiritual life, is the greatest good, the crowning blessedness. Faith and belief are the twin wings, as it were, of the bird of your spirit. Faith and belief are the two legs that have to take you to your destination. Faith and belief are the left and right hands that can enable you to achieve anything, take up any task and do it. Faith and belief are like the two eyes that enable a person to see correctly, wholly, with the right perspective. Faith and belief are the indispensable twin factors that succeed in making you what you wish to become a person with deep faith, deep belief.